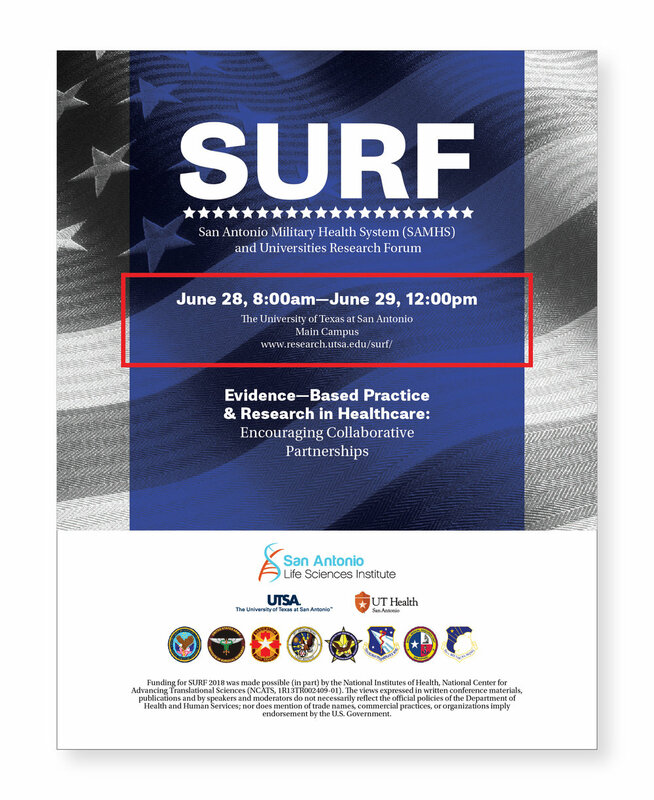 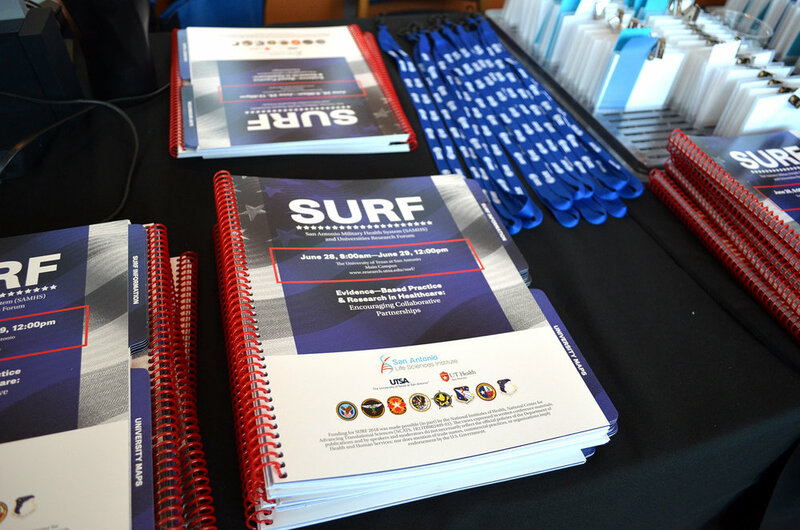 "For the past four years, the leadership of UTSA, UT Health San Antonio and the San Antonio Military Health System have organized keynote presentations, roundtable discussions, symposia and a poster session to showcase the research and clinical excellence in San Antonio, where the Department of Defense has its largest hospital and only Level 1 trauma center in the country." 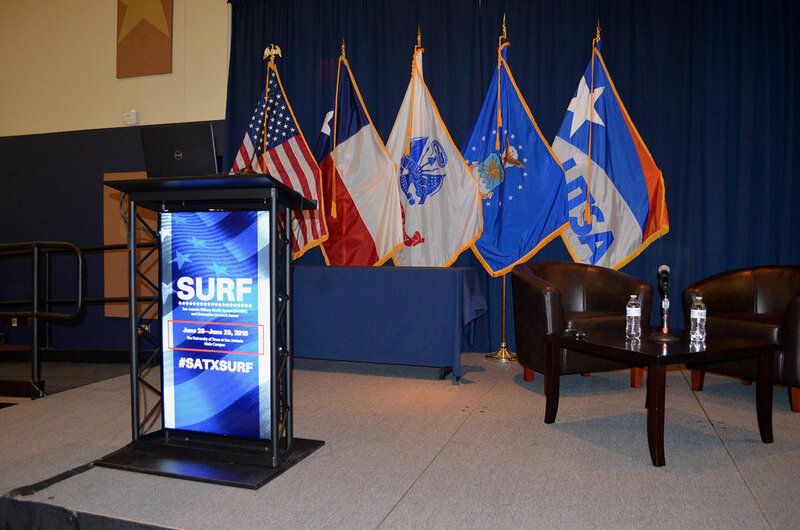 I provided art direction, production, and project management for the marketing collateral for this event. 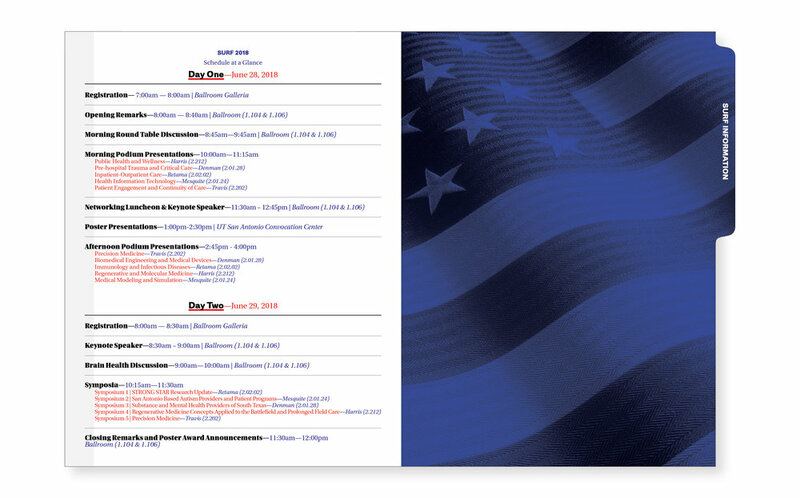 Below are samples from the 100 page program guide.